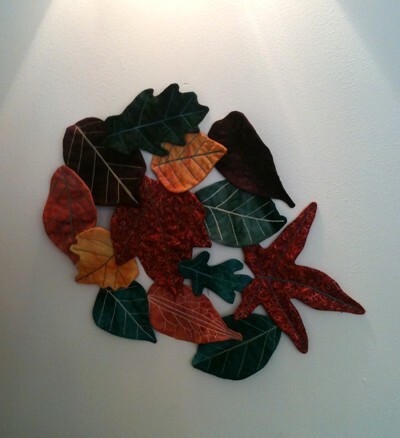 But last month, I did a workshop with Northern Irish quilter Margaret Woodside, where we made these rather splendid wall hangings out of quilted autumn leaves. The workshop was called “Turning”, which beautifully evokes the transition from summer to autumn colours, but also refers to a nifty little technique Margaret taught us for turning out tricky stitched shapes. I’m working up another project that uses this technique, which I’ll post here very soon. We brought in actual leaves to work from (and Margaret also had several, all nicely pressed), and the results were – I think – very pleasing. 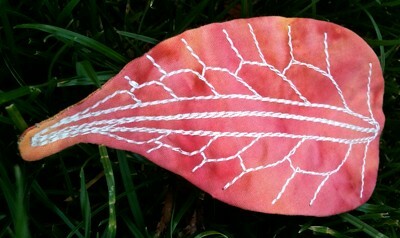 I love the variation in size, and the way we were able to base our stitched veins on the real thing. Check this out: yes, that veining is genuine. 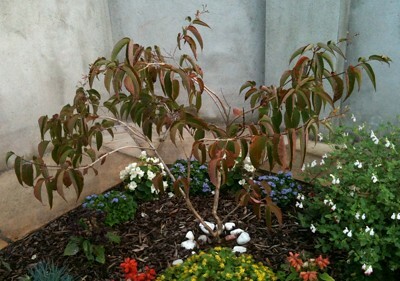 It’s based on a leaf from my cherished Heptacodium miconioides, or Seven Son Flower, a rare shrub that Niall’s mother gave me last year. The veins do this wonderful looping thing, giving an effect that looks almost quilted to start with. I was amused by how hard it was to find suitable fabrics in my stash. As everyone else unfolded their russets and golds and tans, I frantically rummaged in my bag for anything that could, at a stretch, be interpreted as vaguely leafy. It seems I’m just not a natural buyer of autumnal fabrics – but I really like the vivid palette I ended up using. 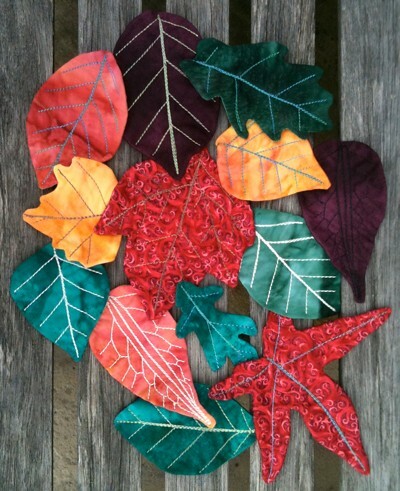 Back home, when the leaves were all finished, I arranged them in a layout that pleased me, then pinned them and sewed them together with a few stitches at the back of each join. I’ve hung the piece against a white wall, but I may frame it at some point. Opinion is divided as to the optimal background colour. I think it looks good against the white, but Niall’s mother would love to see it against a golden yellow. Those are gorgeous. I love the vivid colours too. Gorgeous work! As for the background colour, I agree with both of you: it looks great on white, and I have a feeling it would look nice on a golden yellow too… Not so helpful, I know! It’s certainly gorgeous against the white. Have you got something golden yellow you can hold it against? I think it would look *softer* against golden yellow, less striking and more mellow. It looks fabulous either way, but I’d respond differently to it on the yellow. 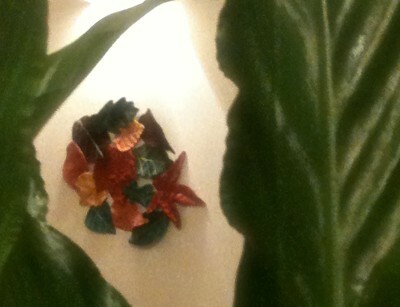 I love these gorgeous leaves. Thanks so much for sharing. For some reason I’ve been attracted to quilting recently (haven’t ever done it). 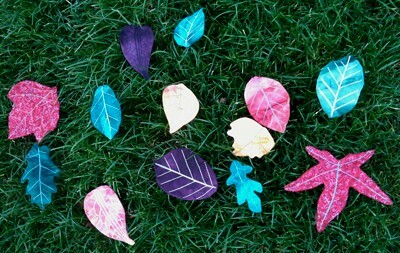 I think I could try to make simple leaves without embarassing myself, even if they didn’t look nearly as good as these! Reading back through your blog after recently adding it to my feed, these leapt out at me. Absolutely beautiful artwork, and the colours are splendid. If you fancied making more of these I suspect they’d be a very popular item for sale.